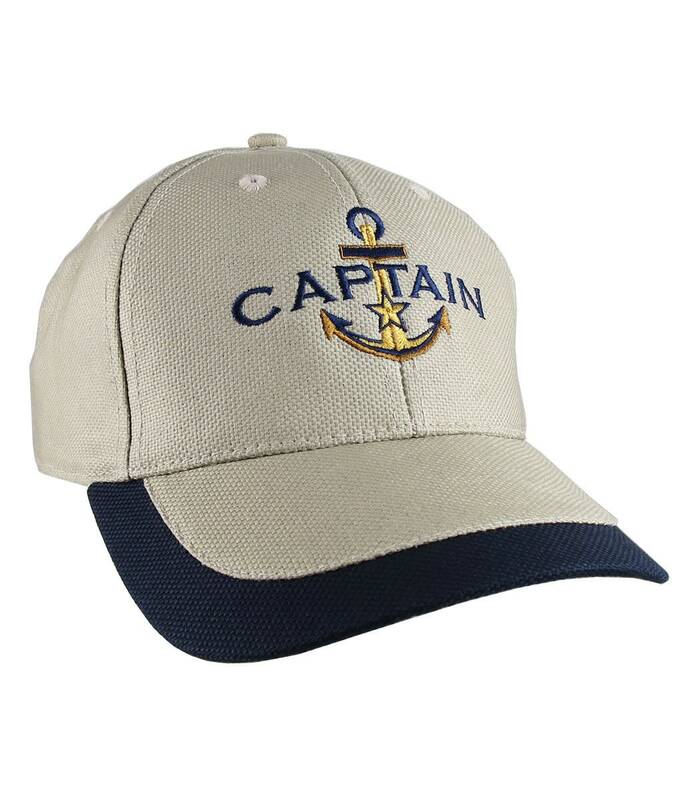 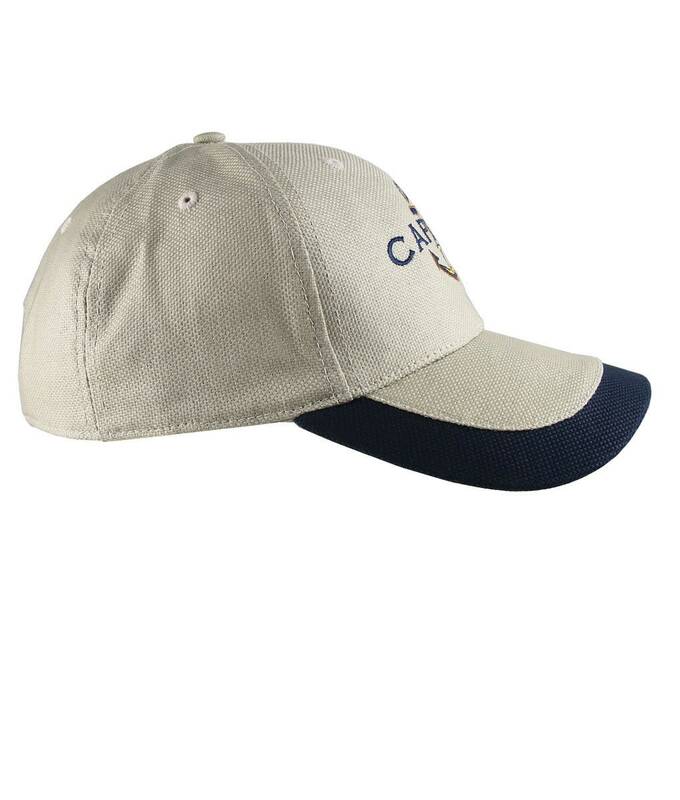 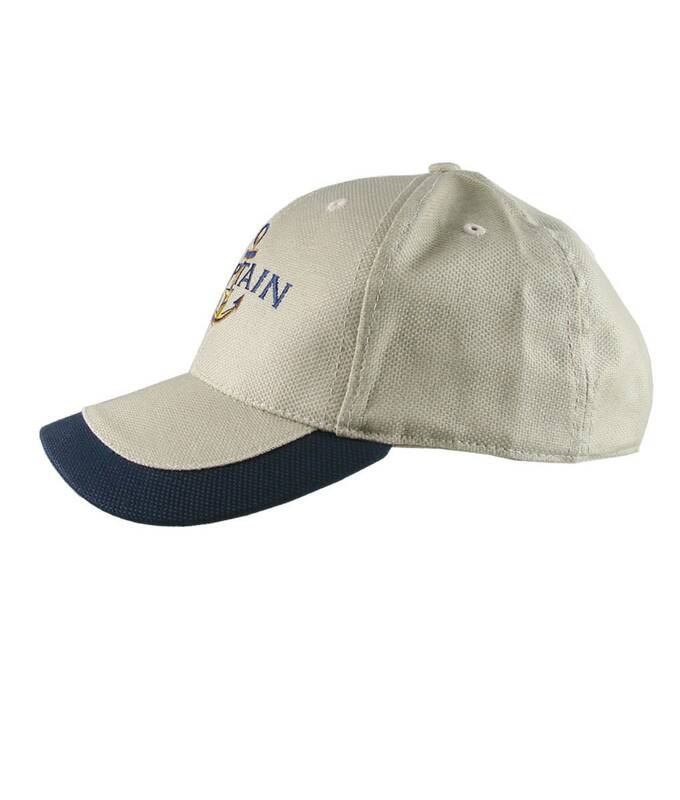 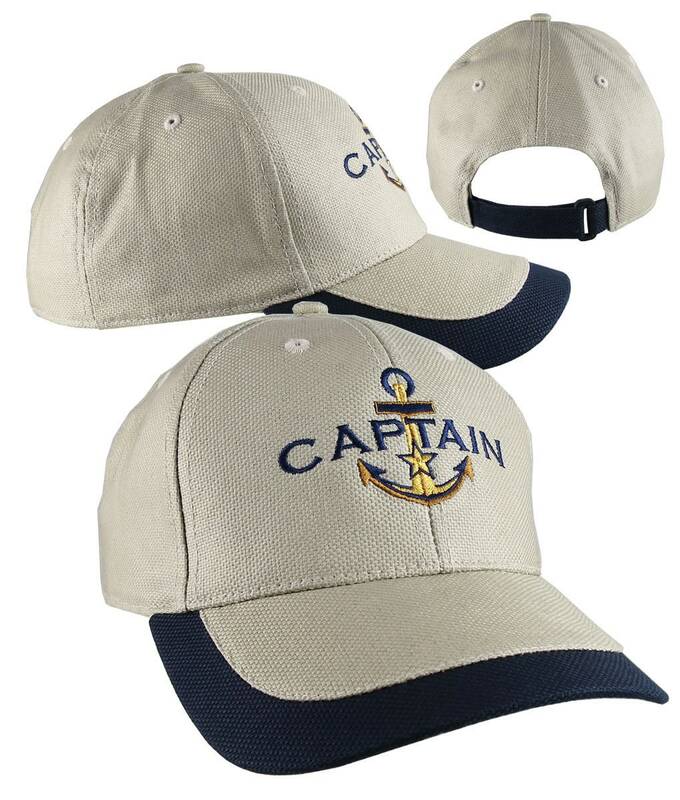 A Captain on a golden star anchor design embroidered on a khaki beige and navy blue adjustable soft structured classic baseball cap. 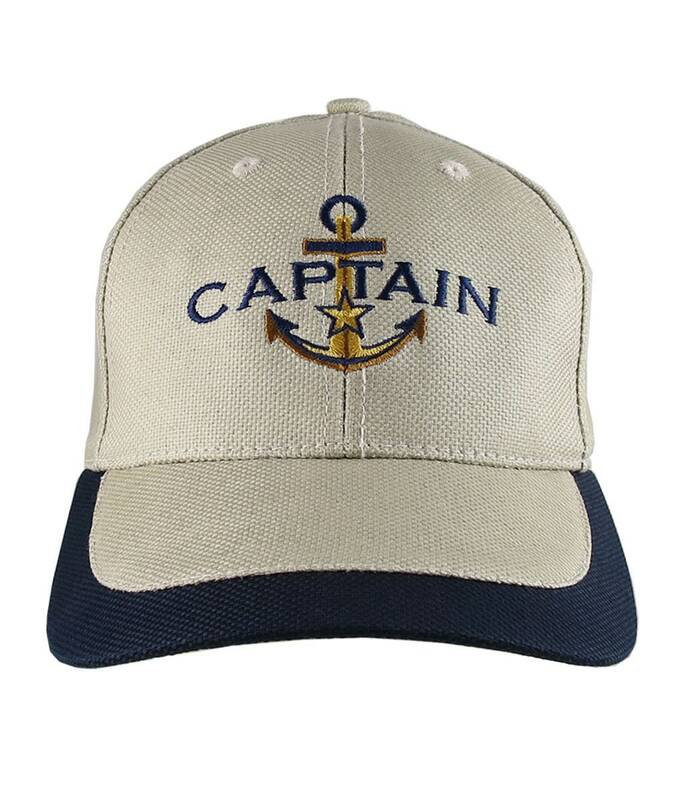 This hat fits well with the nautical lifestyle. 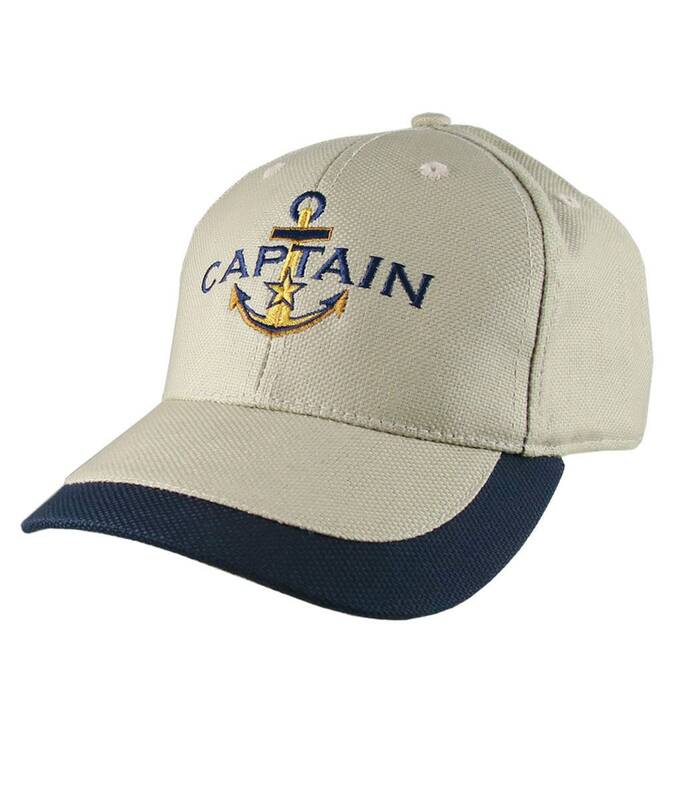 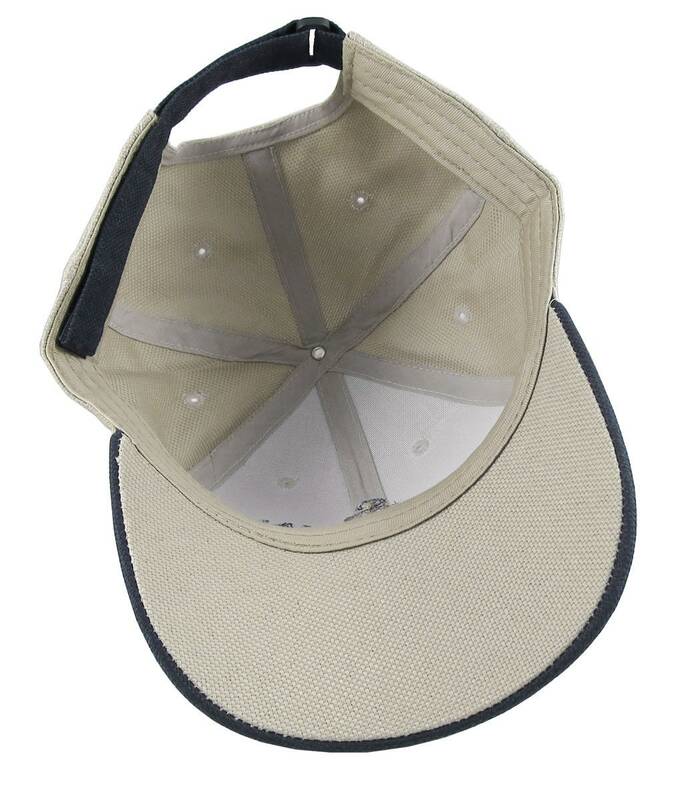 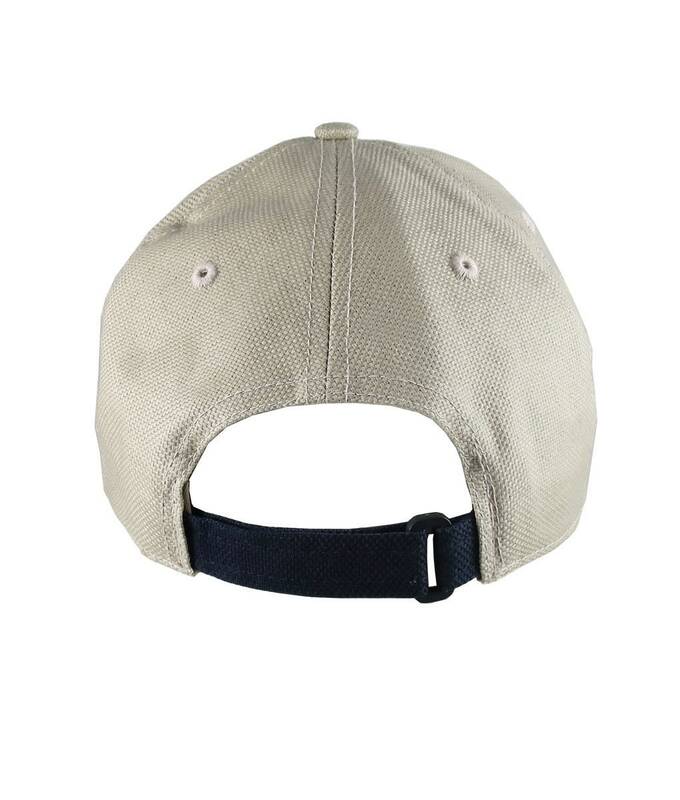 It is a sturdy and a comfy hat and a winning candidate for everyday wear as well as for making a fashion statement on, or off the boat. 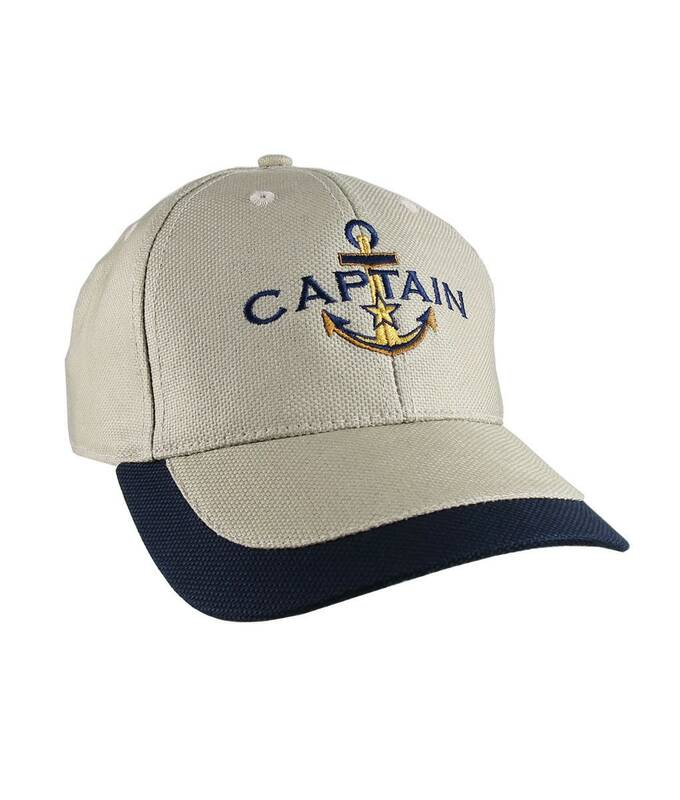 A great gift idea for the boating enthusiasts or for a special member of your crew. 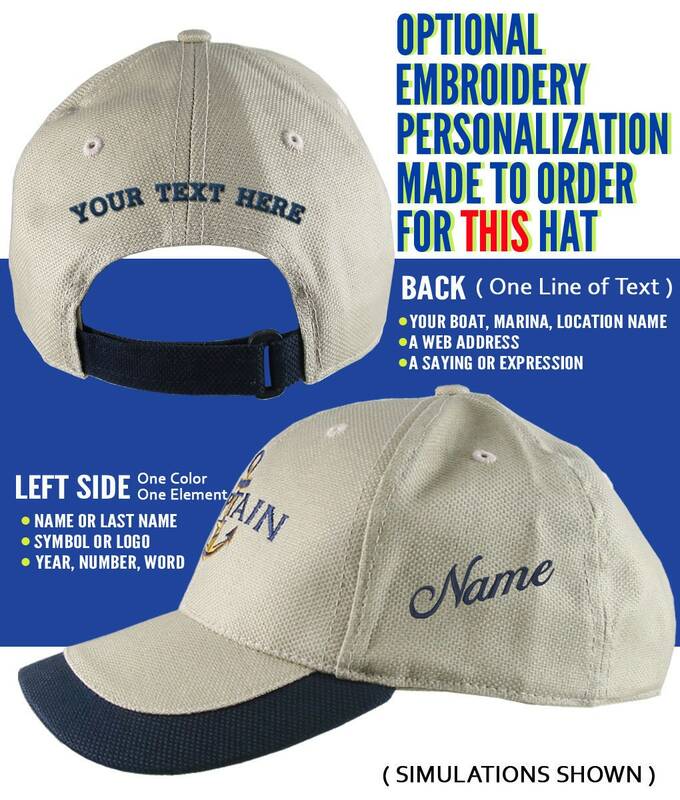 This embroidery design is also available in the SKIPPER, FIRST MATE, and the CREW versions with custom orders.